Time to replace that old shag carpeting? For Brady Bunch fans, it might be tempting. On April 7, CBS Home Entertainment will unveil a new (and, some would say, improved) release of The Brady Bunch: The Complete Series. Back in 2007, CBS rolled out the complete series in shag carpet packaging. Even if there weren’t glue issues, it looked more like SpongeBob than a ’70s carpet from the household of this blended family. A lot of fans held off buying the set, but if you did, do you replace that old shag? 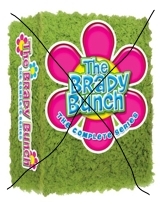 On the one hand, the new collection is easier to store, but on the other hand, some bonus features from the old complete set aren’t included—like A Very Brady Christmas, a couple episodes from The Brady Kids animated 1972 series, and a pilot for “The Brady 500.” I mean, what would Marcia do? 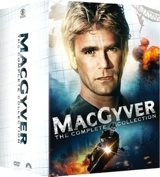 She’d probably go for the new purple box and something groovy, like MacGyver: The Complete Collection, which is also being repackaged in a slimmer, space-saving box. This guy could take the contents of a woman’s purse and make a weapon or an escape tool out of them. Fun and funky! It wouldn’t surprise me if actor Richard Dean Anderson was doing children’s birthday parties now. Also releasing on April 7: the sophisticated sitcom Frasier: The Complete Series and Andy Griffith in Matlock: The Complete Series, both with slimmer packaging. Suggested retail price is $129.99 for Matlock and Frasier, $89.99 for MacGyver, and $72.99 for The Brady Bunch. 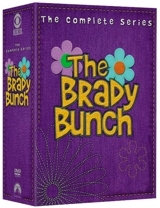 Right now at Amazon.com, the Brady Bunch set is selling for $65.66—which averages out to $13 per season!